What's this? A new post? It can't be! Well, it's officially summer break, so there is a chance I'll be posting more regularly, at least for the next few weeks. I have lots of projects to share, but it will take m e some time to get them all photographed to post. I happened to have these two on my phone, so I thought I'd share. The first one I made for my future sister-in-law for her birthday. I just love the black and white with a splash of color, and of course, I had to add some bling. 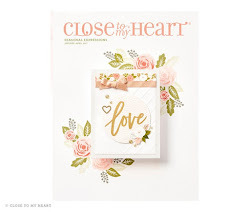 I'm sure this card was inspired by someone, but I can't find anything similar in any of my files on the computer or Pinterest, so I can't give credit. 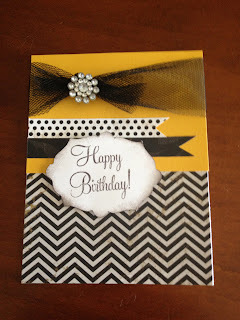 **edit--I found the inspiration for this card here on the annieworks blog. This card was for my mom for Mother's Day. She wants to re-do her office in a Paris theme, so we got her all Paris items to use for decorating. 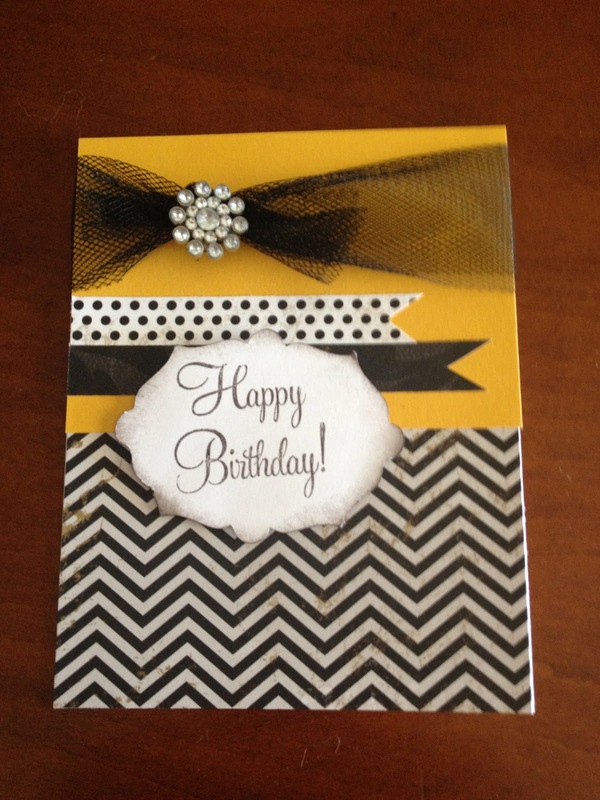 I just had to make a card to match. 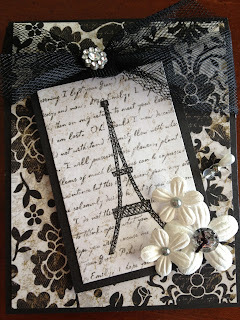 I used the Eiffel Tower from stamp set that came with the Le Bella Vie kit in the last catalog. I also had to share this. I made this cake for my brother and his fiancé for their housewarming. It was my first attempt at anything of this type. I've seen the diaper cakes, and then came across some kitchen ones on Pinterest. 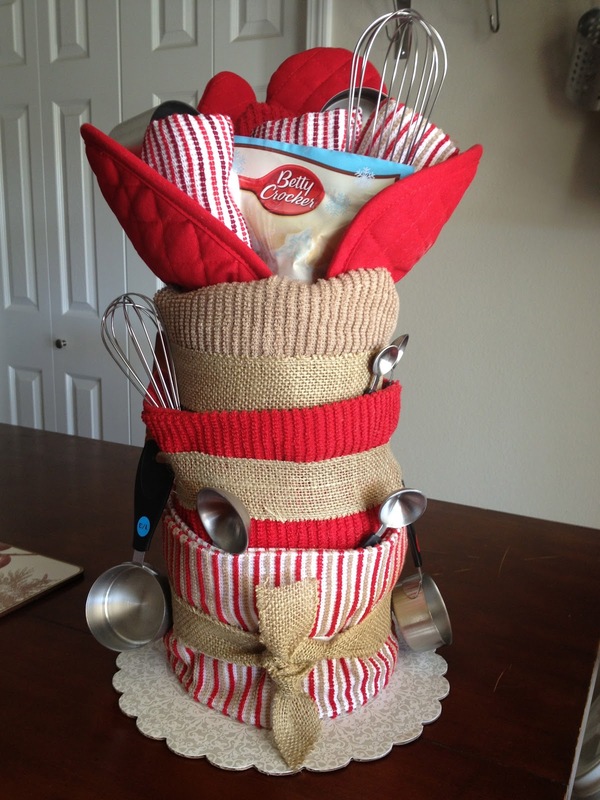 The bottom is a tin of cookie cutters, and the top is a glass measuring/mixing bowl.